NEW STOCKS JUST ARRIVED! HAPPY SHOPPING! COMES WITH PACKAGING AND INSTRUCTIONS. I bought the L size one and it came as how it looks like. Initially, I thought it would feel more hardy and sturdy but to me, it's quite flimsy in my hands. It still does it's job. My hair is layered so it was a little difficult to roll it up and make sure I had a neat bun. A lot of my shorter hair kept sticking out or didn't get rolled up but after a few tries and methods like not pulling it too near the end of my ponytail, I managed to get a nice and neat bun. I personally do not recommend this size to people who have too little or thin hair because it is quite difficult to make sure you got enough hair to push around and cover the sponge. I had to try a few times and still not sure if it's fully covered. Furthermore, I push it around so much that many tiny bits of hair came out haha. Overall, it did gave me a satisfying end result so 4 stars. Do give it a little more practice to get a hang out it. Bought both sizes but find it hard to cover the large size with my hair. Yet the small one is too small. If they had a medium size would be better. Otherwise if the size is okay for you it's very easy to use. prefer using a donut. Great Sponge - Must have!! This is the best hair accessory I have. It helps tie a bun in seconds, neat and tight. Can also be creative and use it to create new looks. Great product. 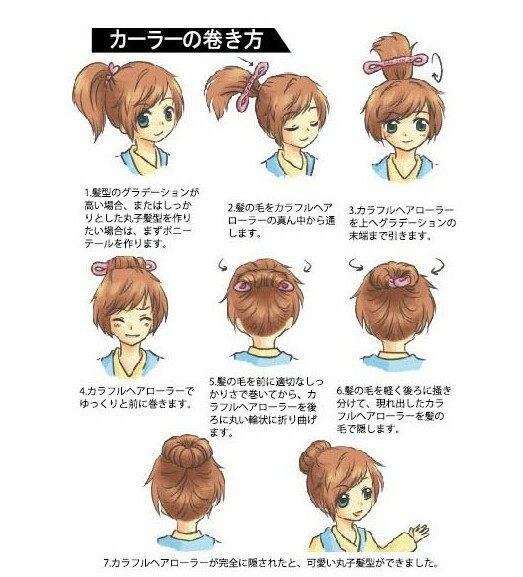 Makes tying a bun super easy even for layered hair. Just need to chose the right size for your hair. It is one of the best innovation!